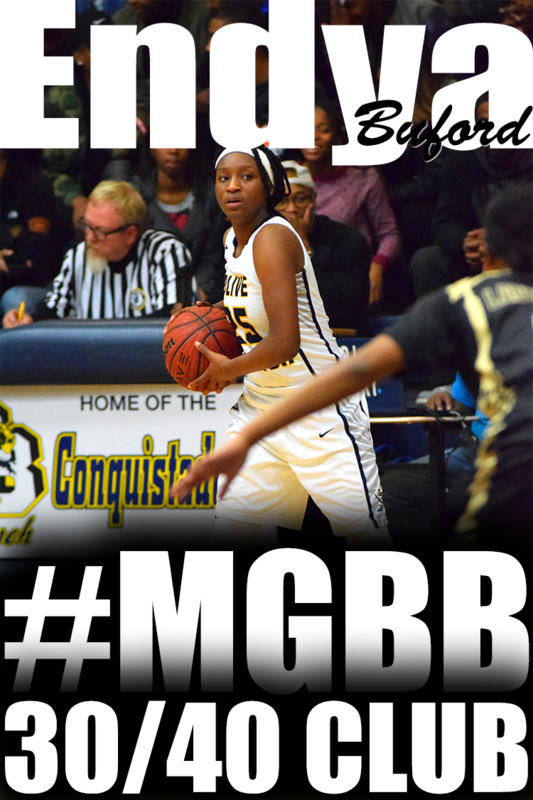 Tia Bland, Covington: Scored 14 points to lead the Chargers to a 39-27 victory over Munford. Deja Potter led the Cougars with 13. Tashun Bryson, Mitchell: Bryson scored 20 as a young Tigers team improved to 5-1 with a 44-43 victory over Trezevant. Sade Hudson led the Bears with 24. Taa' Fondren, Lausanne: Fondren had 19 points and 10 rebounds to lead the Lynx past St. Mary's, 37-30. 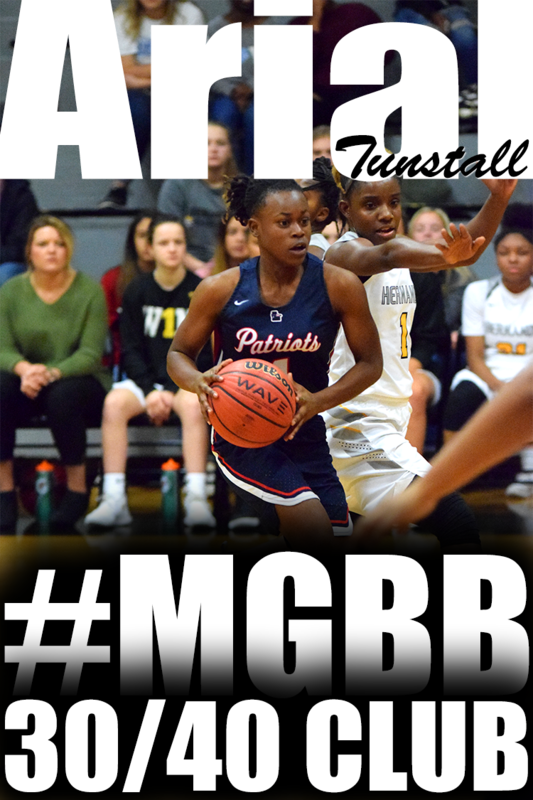 Imani Gillen, Bartlett: Gillen scored 13 points as Bartlett picked up its first victory of the season, 57-20 over Germantown. Makia Morris added 10 for the Panthers. Lauren Gross, Northpoint: The two-time defending Division II-A state champions are off to a 4-0 start following a 60-32 victory over Magnolia Heights (Miss.). Gross led the way with 25 points, 10 rebounds, five assists and five steals while Jade Wells added 16 points. Maxine Engel, Hutchison: Engel scored 16 as the Sting (3-1) kept their poise down the stretch and hung on to defeat Melrose, 50-40. Zieta Lee, Memphis School of Excellence: The sophomore scored 29 points but didn't get nearly enough help as the Eagles fell to Oakhaven, 79-41. Brittni Moore, White Station: It's not even December but the Spartans' senior is already making a strong case for player of the year honors. Last week's player of the week scored 35 points (13 of 21 from the floor) and grabbed nine rebounds in a 65-61 victory over Southwind. Alaina Price added 13 while freshman Lyric Cole grabbed 14 rebounds. Ya'Taria Coleman scored 22 to lead the Jaguars. 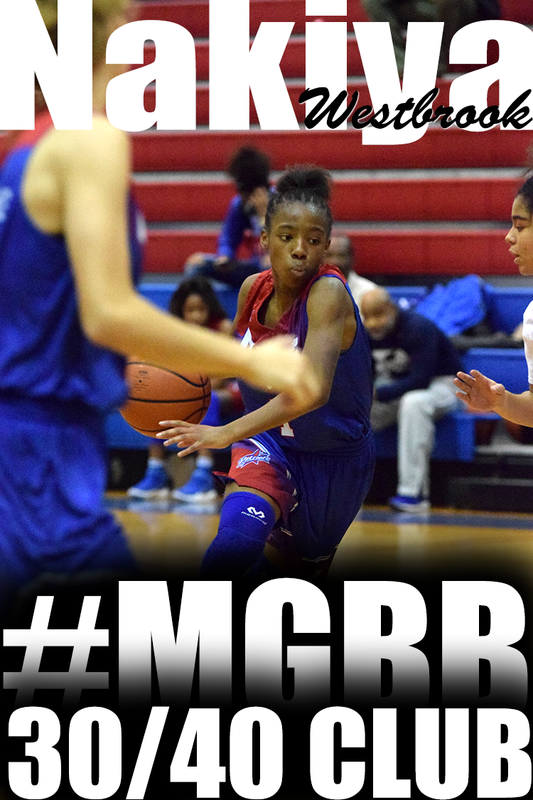 Kamequa Rucker, Memphis Business Academy: Rucker scored 22 to lead MBA past Manassas, 42-39. 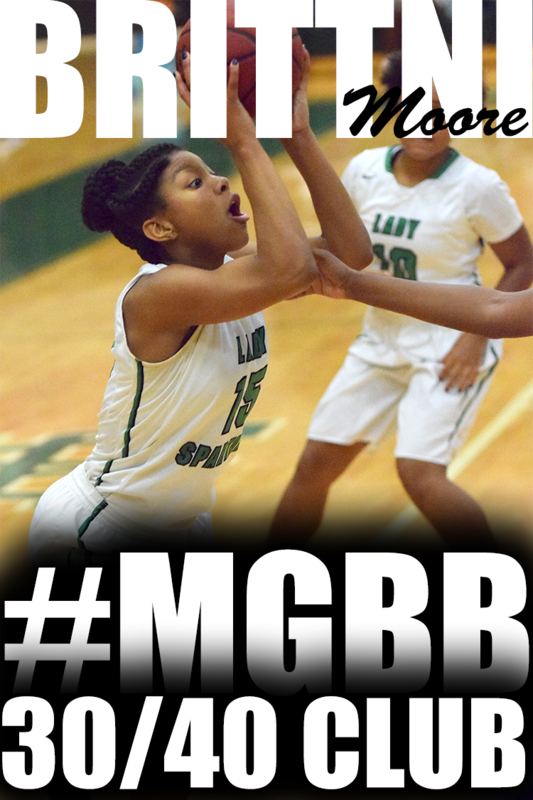 Latonia Farley (17) and Markeisha Scott (16) combined for 33 of the Tigers' 39 points. Megan Sanfratello, Tipton-Rosemark: Sanfratello led the way with 18 points as TRA improved to 4-0 with a 68-21 victory over Millington. Freshman Jordan Hall chipped in with 14 and 11 rebounds while Brittany Hall added 11 points. Safharee Scruggs, Overton: After an 0-23 season last year, the Wolverines are now 2-3 following their 73-44 victory over Wooddale. Scruggs, a senior, led with 16 while Charmita Brooks scored 14 and Bacardi Peoples 13. Carria Smith, Catholic: The Chargers are 5-0 following a 55-43 victory over St. Benedict. Smith led her team with 21 while Deja Pryor had a game-high 24 for the Eagles. Lauren Taylor, Collierville: Taylor scored 16 points as the Dragons (2-1) broke open a tie game at halftime and defeated DeSoto Central, 63-40. Brittni Moore, White Station: Moore, who will play her college ball at Tennessee-Martin, turned in a monster effort as the Spartans defeated Whitehaven 74-70 last Friday. She scored 29 points and grabbed 18 rebounds to go along with four assists and three steals. Sasha Chambliss, Cordova: Chambliss opened her season with 22 points as the Wolves defeated Douglass, 55-35. Maxine Engel, Hutchison: The freshman scored a game-high 12 as the Sting improved to 2-1 with a 62-24 victory over KIPP Academy. Sade Hudson, Trezevant: Hudson, who will play her college ball at Tennessee-Martin, scored 26 as the Bears pulled away in the second half and defeated MAHS, 60-38. Brittni Moore, White Station: The future Tennessee-Martin Skyhawk opened her season with 20 points as the Spartans took control in the first half and defeated Martin Luther King Prep, 76-21. 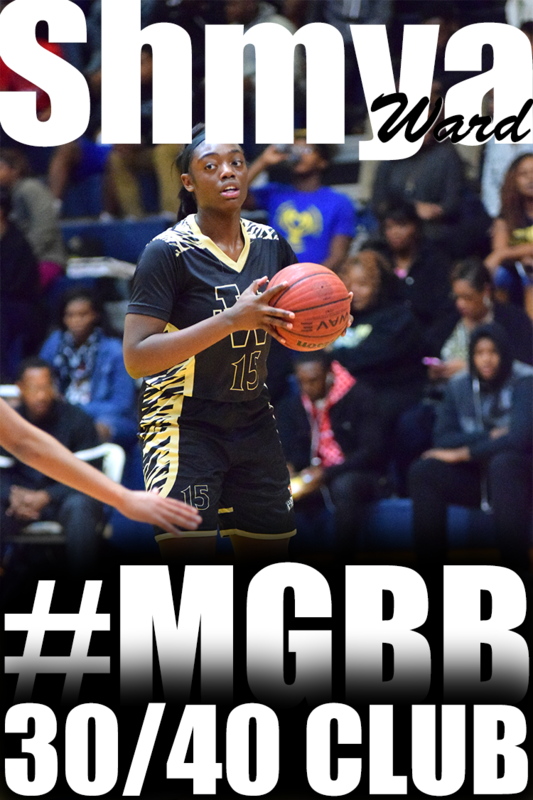 Shmya Ward, Whitehaven: Ward poured in 34 points as the Tigers, ranked second in the preseason girls Dandy Dozen, improved to 2-0 with an 85-17 victory over Hillcrest in the MLK Tournament. Mericle Blake-Hall chipped in with 13, star freshman Se'Quoia Allmond had 12 and Brianna Pettis 11. Darry'l White, Hamilton: White had 16 points, seven assists and six steals as Chris Adams picked up his first victory for the Wildcats, 42-36 over Memphis Business Academy. 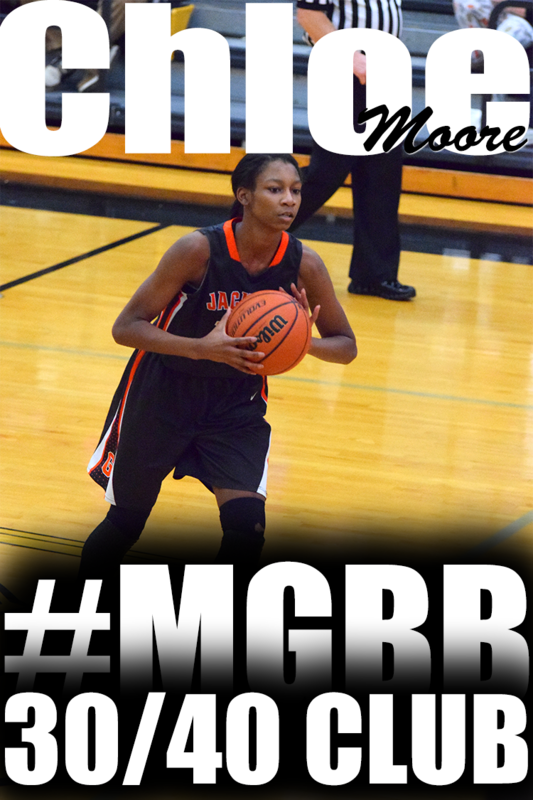 Crystal Henderson had 11 rebounds in the MLK Tournament. The Mustangs return four starters. Leading the way is junior Jayla Hemingway, who averaged 18.4 points and 5.5 rebounds and has surpassed 1,000 career points. 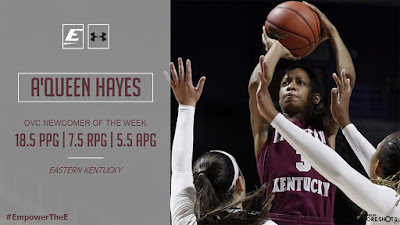 She'll have help from 5-9 guard Madison Griggs (10.8 points), 5-6 point guard Destinee Wells (9 points, 4.6 assists) and 5-9 junior Melissa Carter (7.5 points, 5.1 rebounds). 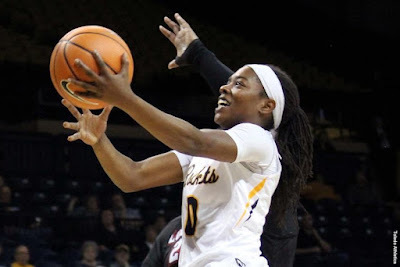 An already solid team thanks to returnees like Shmya Ward (13.5 ppg) has been upgraded significantly thanks to transfers Vertonia Bady (Mitchell), Carleesia Austin (Westwood) and Mericle Hall (Ridgeway). The key is freshman point guard Se'Quoia Allmond, who had 10 points, 7 assists and 7 steals in a victory over Melrose last week. The Tigers have the talent to get to state. Taylor Lattimore and Caitlyn Wilson each averaged 14 points while 6-4 junior Lanetta Williams pitched in with 11, 8 rebounds and 3 blocks. Lanetta's twin sister, Lanyce, also returns and Shappley has another pair of promising twins in 5-9 freshmen Carmen and Charmen Taylor. Three-time Commercial Appeal player of the year Myah Taylor is now at Mississippi State, but the Quistors still look like the best team in DeSoto County. South Alabama signee Mahogany Vaught averaged 13 points, 5 assists and 4 steals, while 6-1 center Katie Blackmon averaged 11 points and 13 boards. Haynes' team has one of the best 1-2 punches in the state in senior guards Jireh Washington (Arkansas State signee) and Johne' Stewart and will be even better once Brianna Cooks and Kynadi Kuykendoll return from injury. The Eagles won the national homeschool championship for the third time and reached the title game for the seventh time in eight years. They will be led by 5-8 senior Annaliese Burnett, 5-7 senior Lindsey Vaughn and 5-8 senior Kylie Loadholt. Gigi Ford is the distributor while Ashley Carson is back after missing last year with a torn ACL. Gabby Crawford is back for one final season and the Cougars couldn't be happier. The 6-2 senior, who has signed with Alabama, averaged 19 points and 12 rebounds as Munford advanced to within one game of state. She'll get plenty of help from 5-11 senior Deja Carter. Miss Basketball winner Ashtyn Baker, Lindsey Whiteside and Hannah Shaffer have graduated, but the cupboard isn't bare. Sharpshooter Lauren Gross has signed with North Florida while Jade Wells is one of the best inside players in Division II. Amara McKay will also be a big contributor. With several key contributors having graduated, much of the Spartans' hopes will rest on Tennessee-Martin signee Brittni Moore, who averaged 12 ppg. Warren welcomes in one of the best freshman classes in the city led by Demiya Bess, Lyric Cole and Kyla Mason. There will be a big hole in the paint where South Alabama freshman Antoinette Lewis used to dominate, but the Lions will still be hard to handle. Starks welcomes back Sage Hawley (6-3 sophomore); Jacaila Davis (5-2 junior); Hadley Horner (5-10 junior) and Alexandria Ellis (5-5 junior) while adding promising 5-8 sophomore Hailey Smith. The Chargers have a good mix of veteran and young talent and can contend for a trip to Murfreesboro once more. Lamia Udley and Tia Bland are seniors with potential to cause trouble in the paint while Trinity Taylor is a 5-6 point guard with lots of promise. 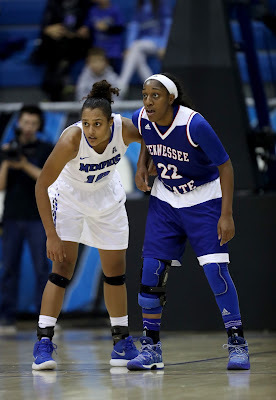 The Tigers are moving up to AA and lost a couple of very good players in Derenisha Taylor (graduated) and Vertonia Bady (transferred). Miata Borders (11 ppg) will be the leader while Tashun Bryson and Ravann Rogers should do well in bigger roles. 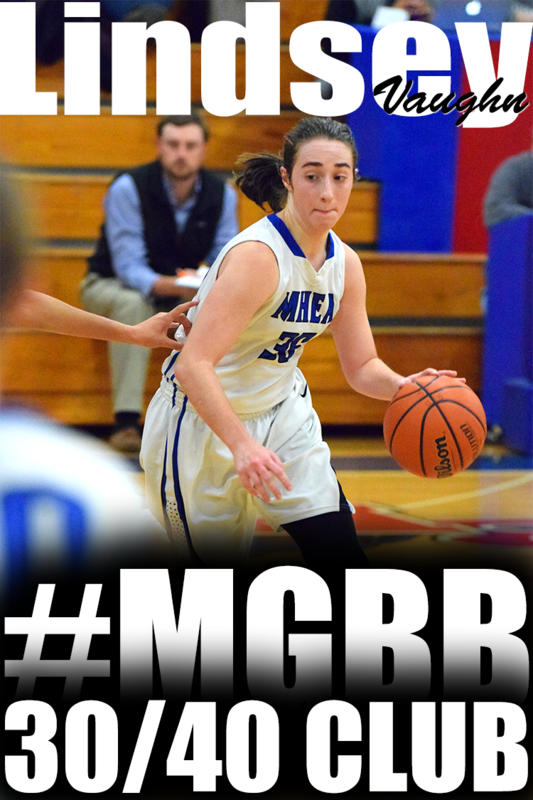 Annaliese Burnett, MHEA: The 5-foot-8 senior was instrumental in two victories last week. Burnett scored 27 points and pulled down 15 rebounds in a 52-44 victory over Briarcrest before coming back with 18 and nine against White Station. Alexis Acoff, Kirby: Acoff led the city in scoring last season with an average of 27.9 points per game, which included a 54-point effort in a victory over GRAD Academy. Along with her sister Madalyn, Acoff has transferred to Kirby and will make the Cougars dangerous. Annaliese Burnett, MHEA: The national home school powerhouse Eagles have produced several terrific players over the last few years, and Burnett appears to be the next one in line. The 5-8 senior is off to a terrific start, averaging 22.5 points and 12.5 rebounds in two games last week. 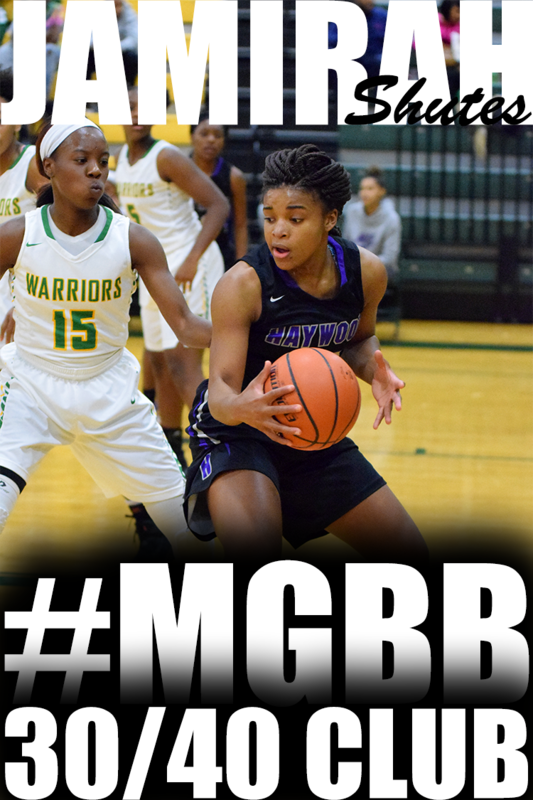 Gabby Crawford, Munford: Crawford, who signed with Alabama during the early period, is 6-2 and skilled; nominally a forward, she has expanded her game to include better 3-point shooting and ball-handling. She averaged 19 points and 12 rebounds while leading the Cougars to the AAA sectionals. 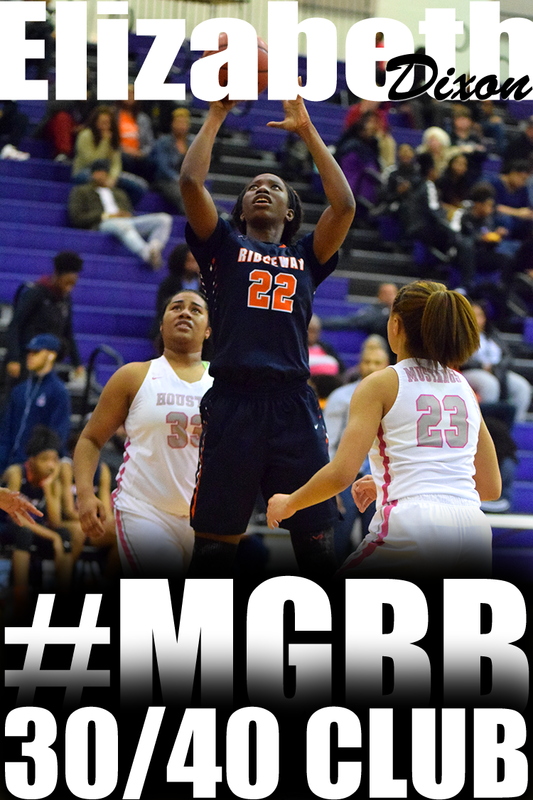 Elizabeth Dixon, Ridgeway: At 6-4, Dixon has been a towering presence on both ends of the floor since her freshman season. Now the leader of a young Roadrunners club, the Georgia Tech signee averaged 17.7 points, 11.1 rebounds and 4.7 blocks. Jayla Hemingway, Houston: It seems like Hemingway has been around forever but she's still just a junior. She averaged 18.4 points per game and led the Mustangs to the semifinals of the Class AAA state tournament. 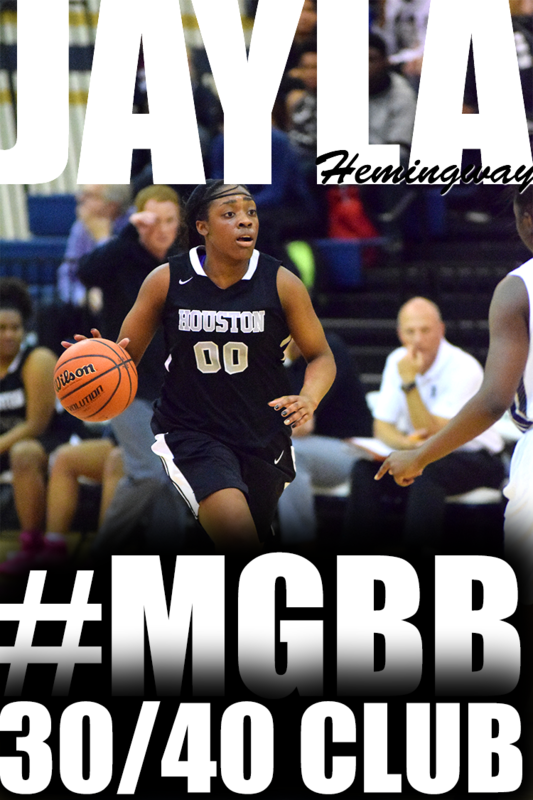 After scoring 33 points in her opener, Hemingway looks poised to take a run at Miss Basketball. Sade Hudson, Trezevant: The UT-Martin signee averaged 19.9 points per game last year, and Trezevant will goes as far as she can take them. Taylor Lattimore, Arlington: Lattimore averaged 14 points, 5 rebounds, 4 assists and 3 steals per game as a junior and will be one of the leaders of a loaded Tigers team that has a chance to be special. 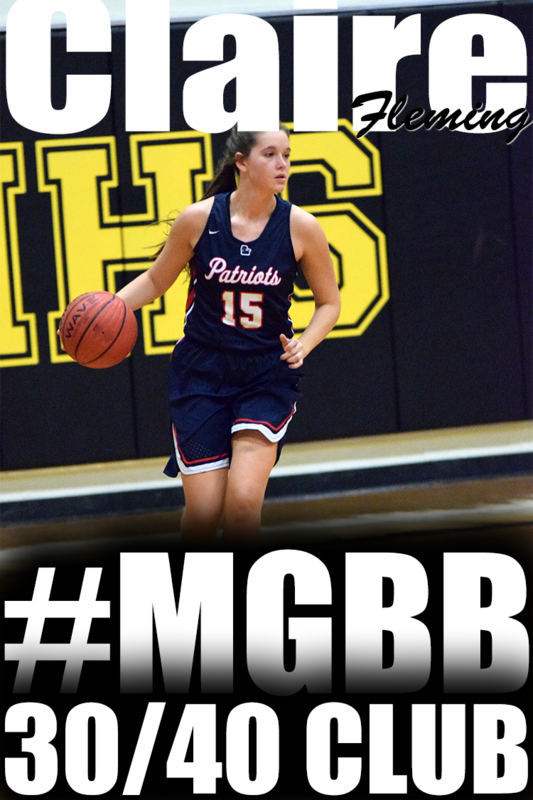 Savanna Owens, Briarcrest: She signed last week to run track at Memphis but Owens is pretty handy on the court as well. The 5-8 guard averaged 16 points, 5 rebounds and 3.1 steals last year and will be in the Division II Miss Basketball conversation. Megan Sanfratello, Tipton-Rosemark: The Lady Rebels have some of the best young talent anywhere, starting two freshman and two eighth-graders last year who all excelled. The best might be Sanfratello, who averaged 18 points and made the all-metro team as a freshman. Shernika Spencer, MASE: One of the best small-school talents in the city, Spencer ranked third in the city as junior with an average of 20.3 points per game while knocking down 64 3s.